Wash and drain the sago pearls. Cook the sago pearl with enough water, again drain all water and set aside. Heat ghee in a pan, fry the vermicelli till light brown. Combine milk, water and condensed milk and sugar, Bring to a boil. Add the vermicelli to the milk. Lower the flame. Keep stirring. Add the cooked sago pearls. 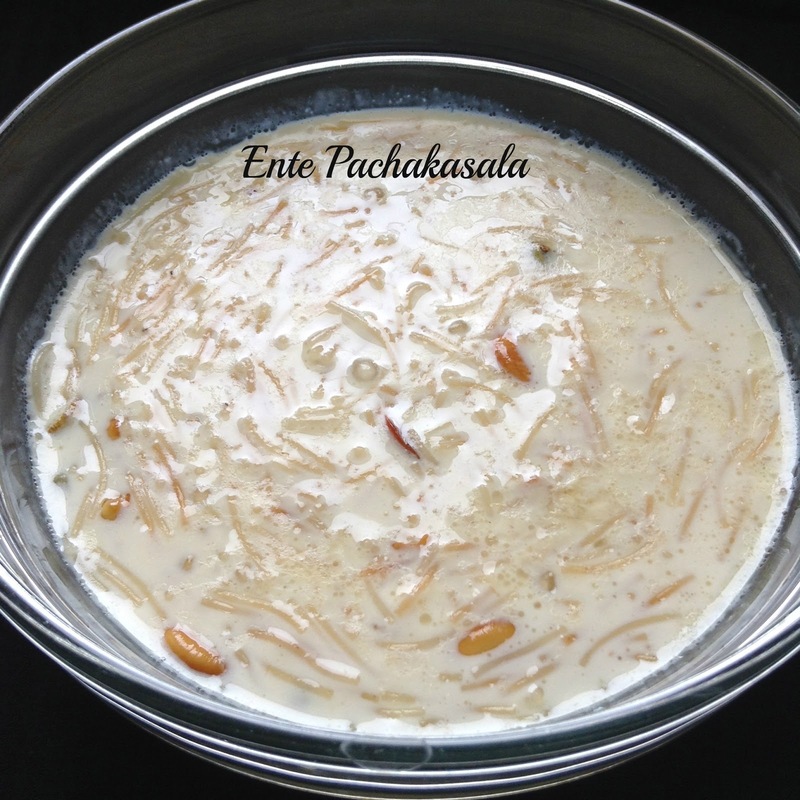 Turn off the flame when the payasam turned thick and vermicelli cooked well. 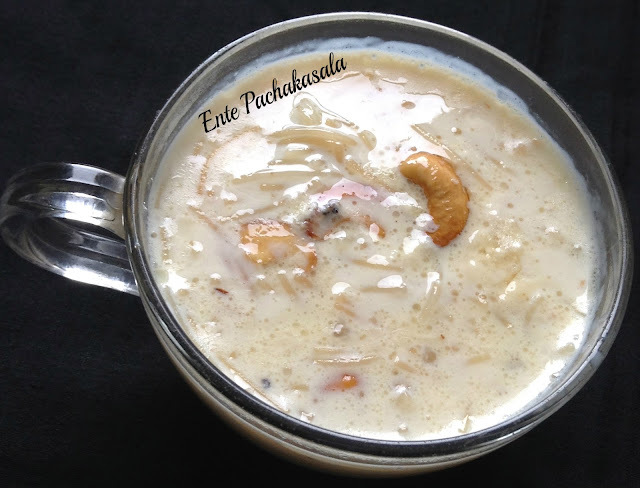 Pour the remaining 1 cup milk to the payasam and cook for 4-5 minutes. Add the salt and crushed cardamom. 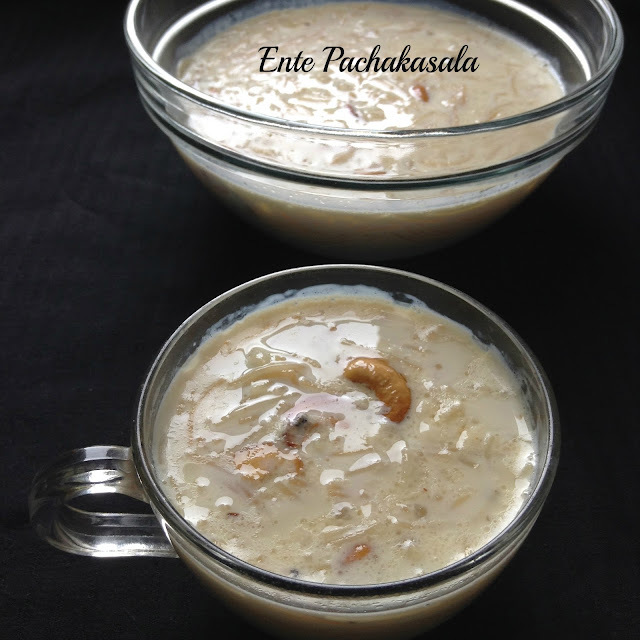 Heat ghee in a pan, fry cashew nut and raisins till golden brown and add to the payasam along with the ghee. Remove from fire. Serve hot.